Did you know that Windows 8 has a Time Machine like Mac OS X? Windows 8 supports a feature called File History that lets you retrieve accidentally deleted personal files so you won’t lose them again. This is similar to Windows 7′s Previous Versions, but simpler to use. I’m going to teach you how to activate it first, and then in my next post, we’re going to explore the features and discuss how to retrieve files. Though it doesn’t work as exactly as Mac OS X’s Time Machine, this hack can actually save your digital life in case a power interruption occurs while working on a project or (worst case ever) your hard disk suddenly crashes. Note: There’s no app tile or icon of File History and it’s difficult to find unless we hack our way to its settings via “Search”. Let’s get started! 1. Open Windows File Explorer folder and type “File History” in the Search bar. 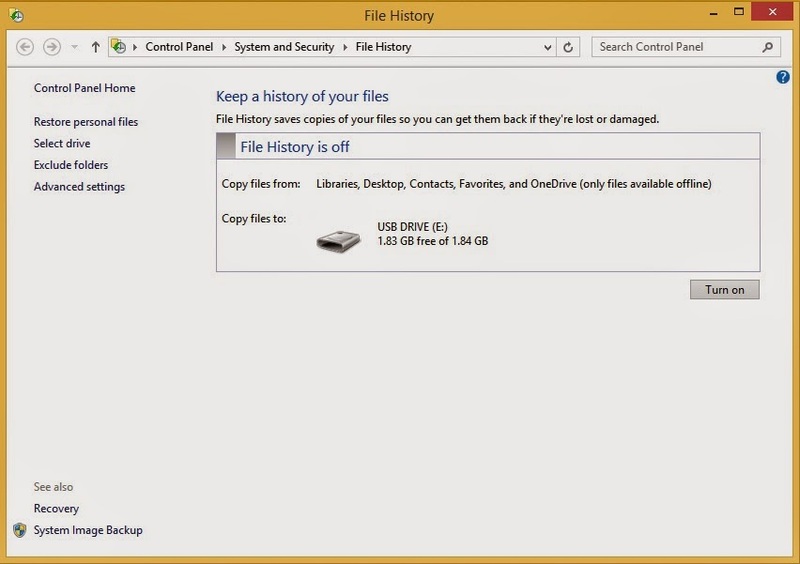 Make sure the external hard drive is already connected; wait for a few seconds until the system shows “File History,” double click it and refer to the screenshot below. 2. Click “Turn on” and it will automatically copy the files. 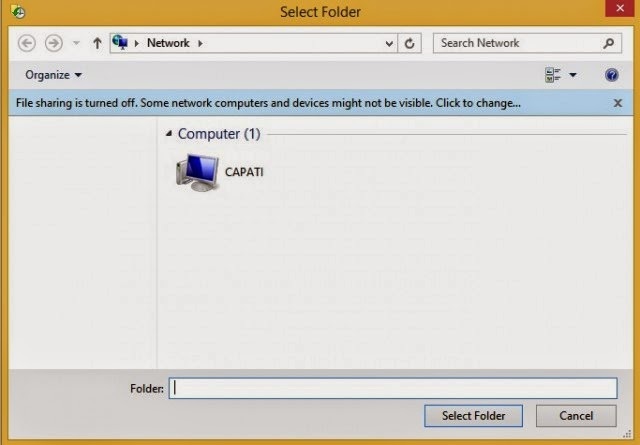 Note: To backup the files in the folder from another network location, click “Add network location” and browse to or select the location. This is applicable if the file sharing is turned on. Meanwhile, disconnecting the external disk(s) automatically stops the File History from copying the files. Make sure it’s always connected to the computer. 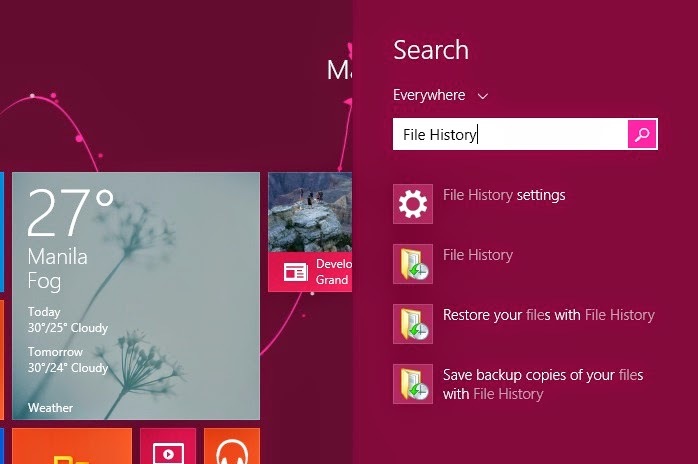 This is a noteworthy feature of Windows 8 for easy recovery of personal files for free. Personally, I don’t recommend USB flash drive because they are prone to data corruption and viruses, plus they have limited storage capacity. I’d rather activate the file-sharing feature or use my external hard drive to recover the files. Now that you have activated the tool, you are in control to all the files you need to copy or retrieve in the future. In the next post, we’ll explore how to use the File History. Don’t forget to subscribe to receive Windows 8 hacks and tips straight to your inbox.